Guide to biology information resources. including information on nearly every topic in the biology field. 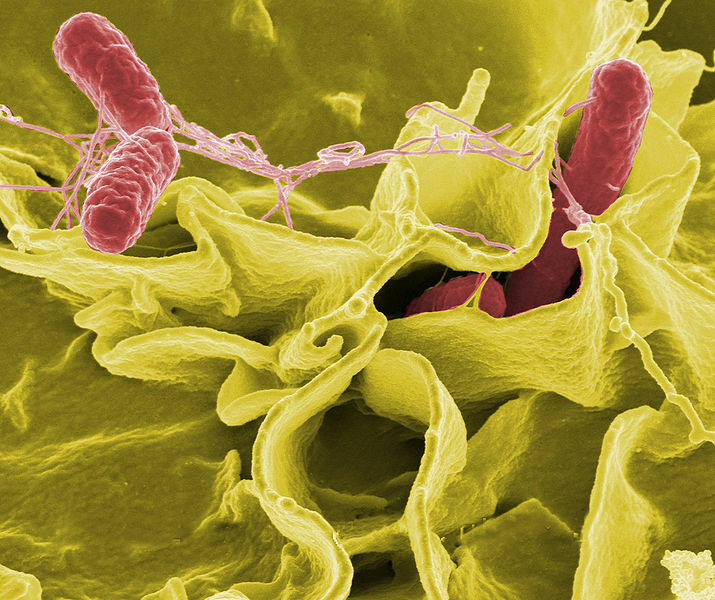 Image source: Salmonella Typhimurium (red) invading cultured human cells. Rocky Mountain Laboratories, NIAID, NIH. Public Domain. Wikimedia Commons. ...to Ally Stengel, who, using a pathfinder created by LVC Librarians, constructed this LibGuide. We're grateful to Ally for the excellent job she did and for all of her hard work. Searching for biological information effectively and efficiently can be a challenge. Use this guide as you would a map. What type of information do you need? Tabs on this guide will direct you to specific types of information. Background Info or reference sources, such as encyclopedias and dictionaries, provide in-depth articles, definitions, statistics, and biographical information. Journal Articles provide in-depth information, new research, or current information on very specialized topics. Books and eBooks help put your topic in context with other important issues. They summarize research, provide a helpful overview, and often include a bibliography -- useful for finding other relevant pieces of information on your topic. Dissertations provide in-depth, lengthy, and scholarly research on very specialized topics. Journals will help you locate the full-text of a specific journal or newspaper title. To find articles on your topic, search the resources found under the Articles tab. Proceedings provides links that'll help you locate scholarly papers presented at conferences. Image Source: Maclean25. 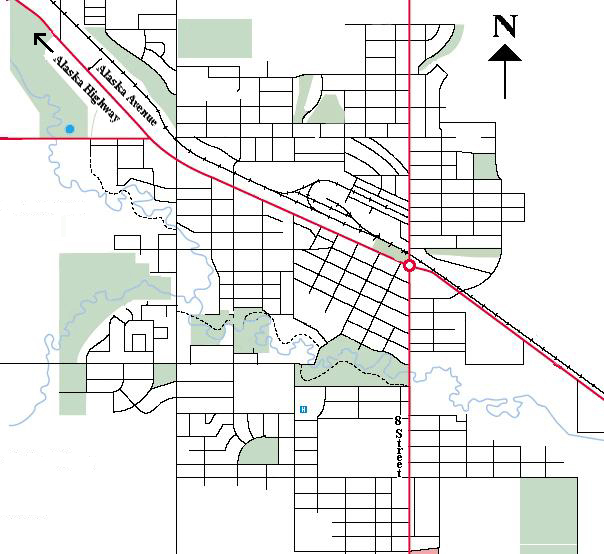 Dawson Creek, BC. GFDL. Wikimedia Commons.